I love frozen yogurt! 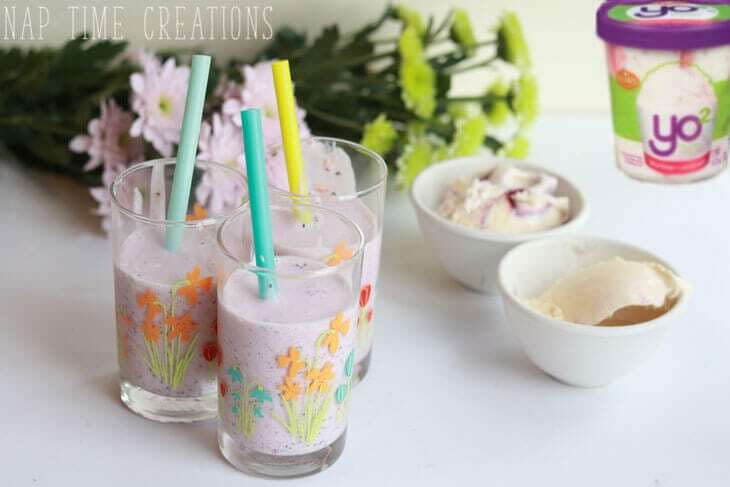 I recently discovered Yo² Frozen Yogurt and I’ve used two delivious flavors to make this amazing protein berry milkshake. SO tasty!! All the flavor with none of the guilt is a win-win treat for me. 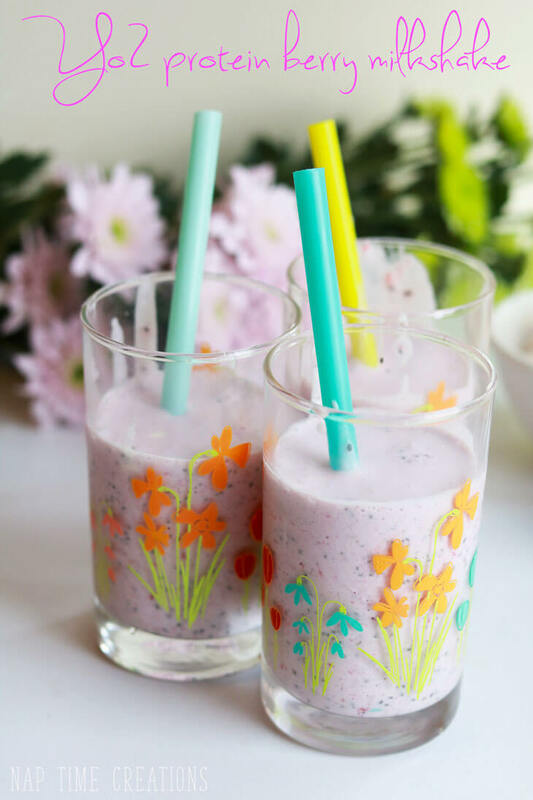 I’ve added extra protein with chia seeds and berries for one of the tastiest milkshakes I’ve ever tasted. 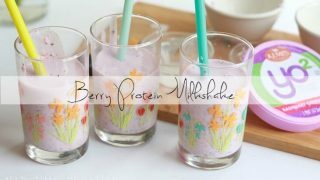 My kids thought this berry portein milkshake was pretty amazing as well. 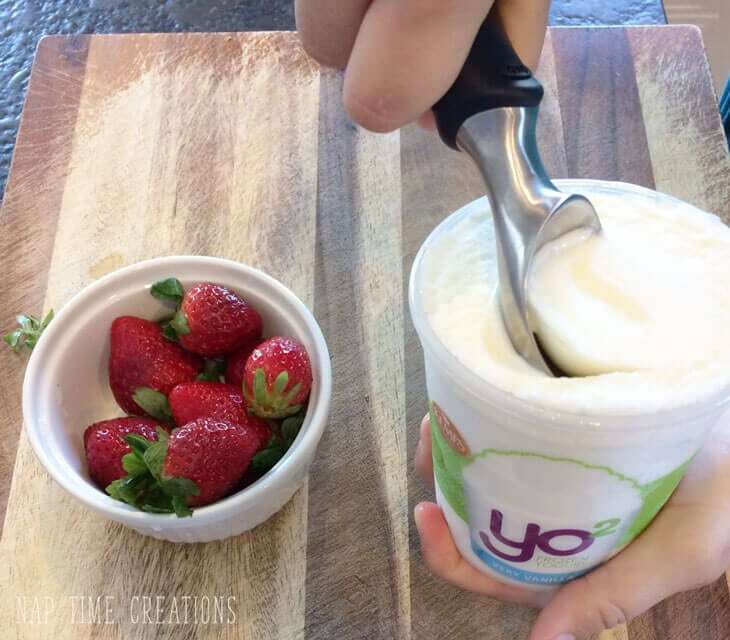 Click HERE to download a $1.oo coupon and try Yo² for yourself. Did you know chia seeds are full of protein? 2 TBS of chia seeds have 4 grams of protein and 7 grams of fiber… and they don’t add any flavor. I love adding them to my smoothies and milkshakes. 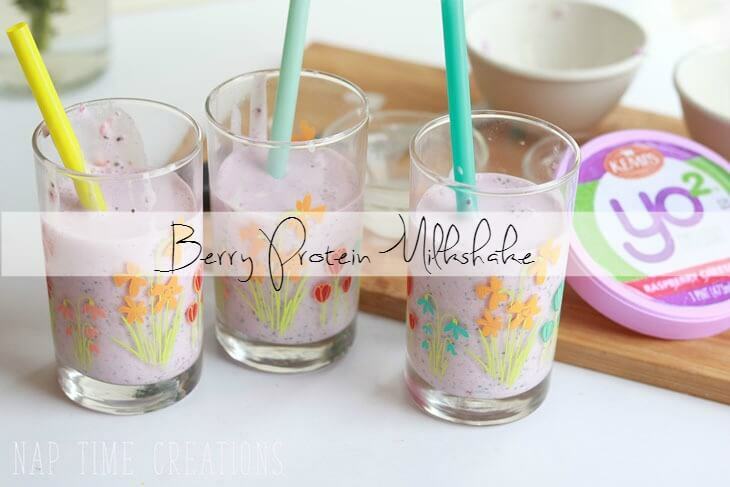 The chia seeds give a protein boost to the berry protein milkshake with out compromsing the berrylicious flavor. 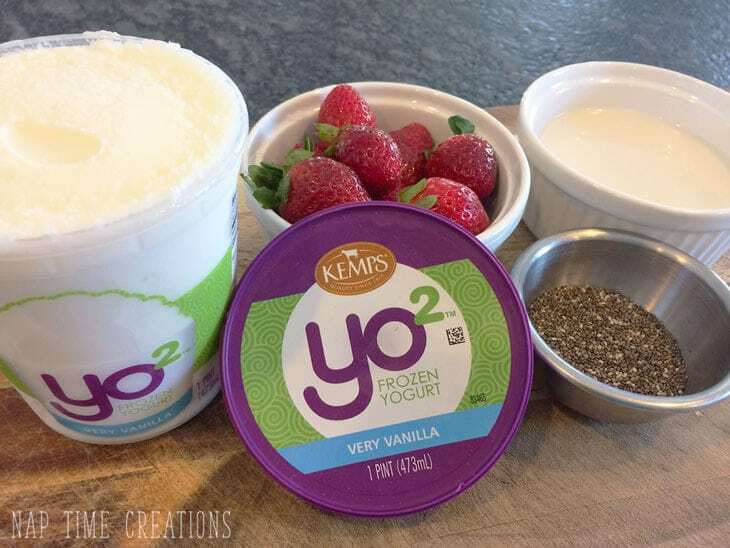 Kemp’s Yo² has NO high fructose corn syrup, NO artificial flavors, and NO artificial growth hormones, perfect for making a guilt free milkshake. I used the Very Vanilla and Rasberry Cheesecake Yo² flavors for my milkshake. I also added chia seeds, fresh berrries and almond milk. Place all ingredients in the blender and mix well. Serves 4. Blend everything together… then pour and enjoy! 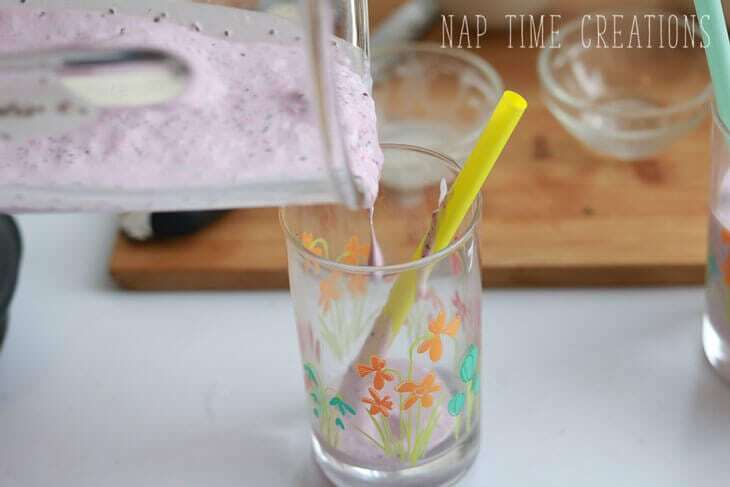 My kids love using these fat straws for smoothies and milkshakes. 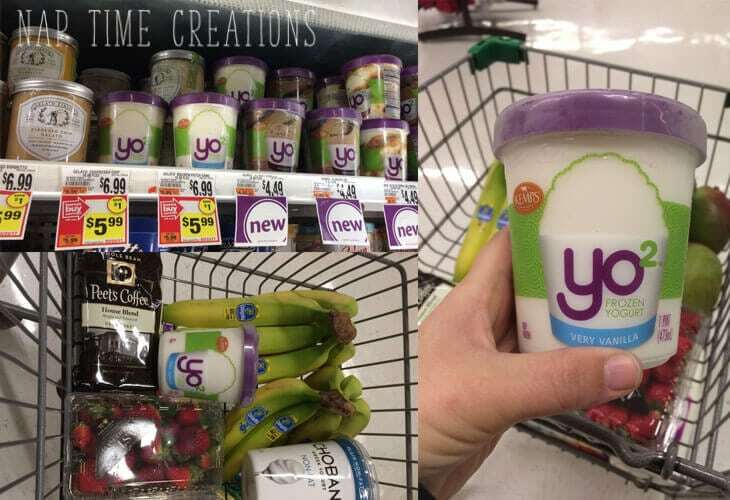 You can find Kemps Yo² Frozen Yogurt at Giant food stores in the frozen section. « Create Link Inspire Party! wow. nice milkshake. Great pictures.